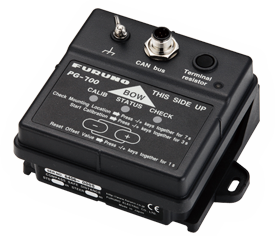 Furuno's PG700 is a fluxgate magnetic sensor with the enhanced stability of a solid-state rate gyroscope. Automatic magnetic field distortion correction provides highly accurate and stable readouts of your ship's heading. 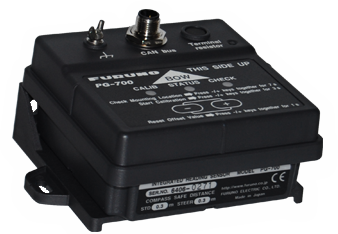 The sensor detects terrestrial magnetism and produces compass data to CAN bus devices. Typical applications include true radar echo trail and true motion, auto pilots, video plotters, scanning sonars and more. These sophisticated components are contained within a rugged, compact case. The supplied L-Bracket allows for flexible installation. Unique design elements make the PG700 virtually maintenance-free and easy to install.